No more waiting! Book your next tee time online. Click the button to see our available tee times and book your next round today! 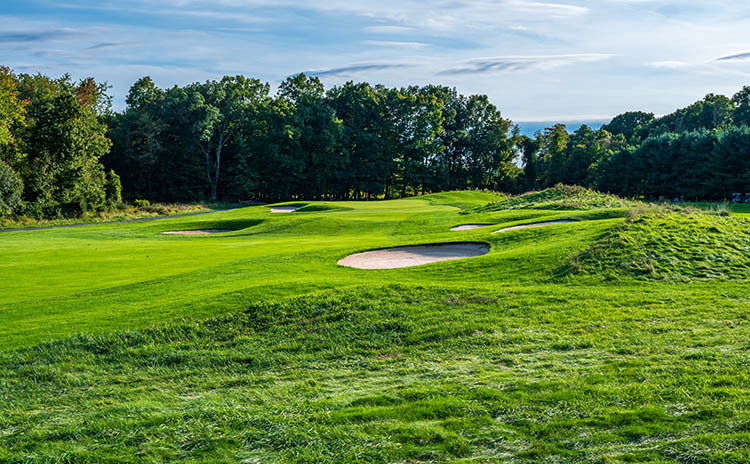 Named one of the "Top 15 New York Courses to Play" for 2014 & 2015 by Golfweek! 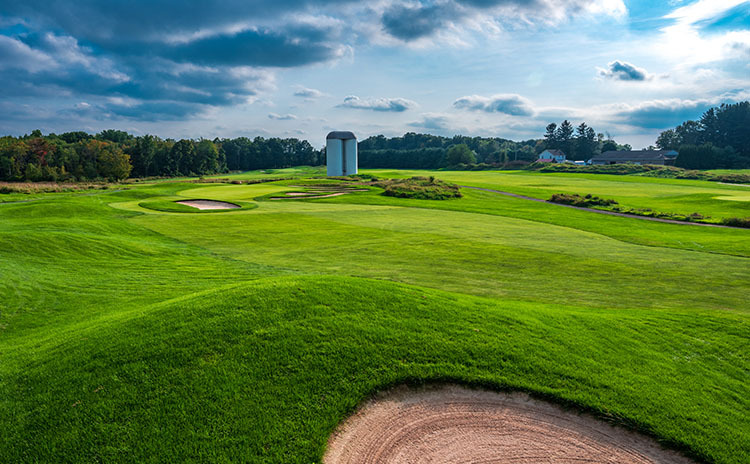 The Links at Union Vale is a premier Hudson Valley golf course, easily accessible to golfers in nearby Connecticut, New Jersey and New York City. 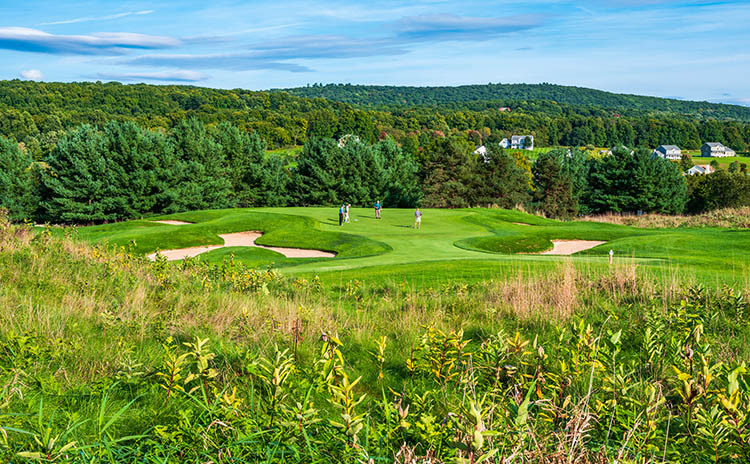 The course is constructed on a nearly treeless site with spectacular views of the Hudson Hills and Catskill Mountains. This 18-hole championship public course, designed by architects Stephen Kay and Doug Smith, lets the shape of the land — with its swells and troughs — influence the shape of the holes. The result is a challenging course with five sets of tees that stretches from 5,198 yards to nearly 7,000 yards from the tips. The Links offers a unique golfing experience. Whether you are a weekend player or Padraig Harrington, who carded a 64 for his round here, it is a course that you will want to play over and over again! Come for a day of links-style golf! The Irish saying at our front gate means "one hundred thousand welcomes," and frames every experience at The Links at Union Vale. 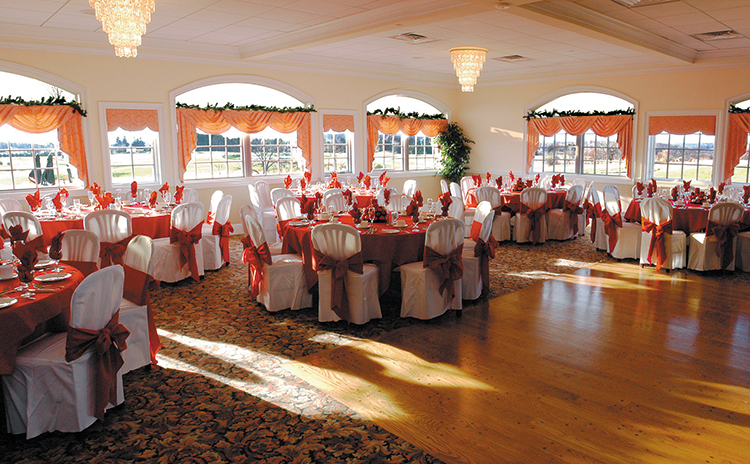 From golf, to a meal at the Harp and Eagle Pub, to weddings and banquets, we look forward to welcoming you! Here at The Links we pride ourselves on the high quality of magnificent golf, superb amenities and outstanding service that we offer our valued customers. We have worked hard over the years to become a staple of the community, and in the process, we have earned recognition as one of the region's premier golf experiences. Course and Pro Shop are open everyday till dusk! Please click here to go to our Facebook for specials and any weather-related announcements. Please call the Pro Shop Direct Line at (845) 223-1000 to reserve a tee time. RIDE ONE OF THESE TODAY AT THE LINKS AT UNION VALE!